Inspired by Escher, Endless Stair's fifteen interlocking staircases form reconfigurable walkways leading to a dramatic viewing platform. SEAM Design turned to Lumenpulse's LED technology to give the installation a unique night-time identity. SEAM used Lumenbeam and Lumenfacade fixtures, which were small enough to conceal, but also durable enough to brave the elements. The combination of linear grazers and narrow spotlights creates a play between the structure and the nature of light. 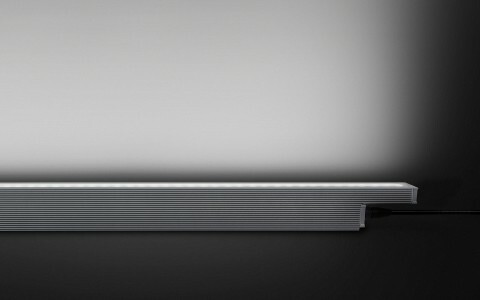 SEAM used a 2700K color temperature to enhance the warmth of the wood, with narrow 10° optics limiting glare. Full DMX capability enabled individual control of segments of fixtures. 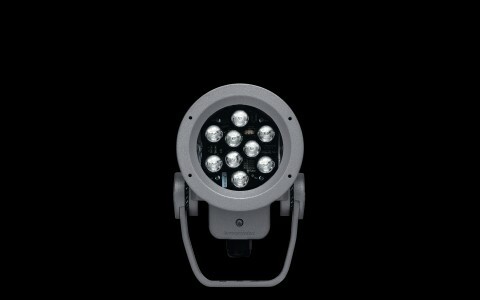 Presence detectors, meanwhile, trigger light sequences, enhancing subtle movements of light. The sequencing visually recomposes and reconfigures the sculpture, matching its Escheresque design spirit. The lighting design adds another dimension to the sculpture, enhancing its dramatic view of London sights, including the Shard (also lit with Lumenpulse LEDs). 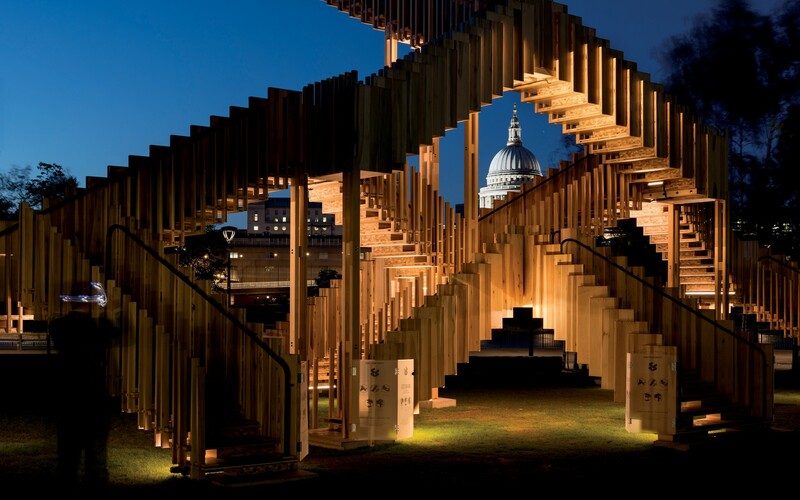 Using Lumenpulse LED technology, lighting design firm SEAM Design illuminated the Endless Stair project at the London Design Festival, giving the public art installation a unique night-time identity. 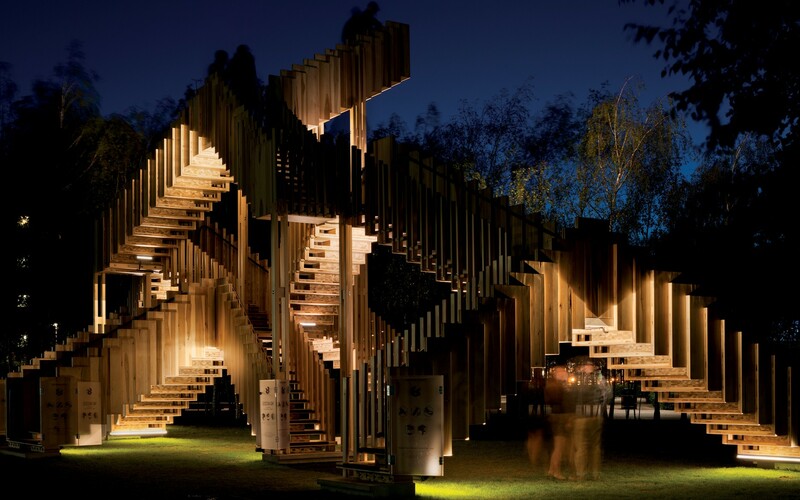 LED technology with DMX control capability was always our first choice for the Endless Stair, and the durability and flexibility of the Lumenpulse luminaires proved to be the perfect solution for this reconfigurable, outdoor installation. For the last six years, the London Design Festival has kicked off festivities with its Landmark Project series, wowing attendees with unique materials, processes and collaborations. 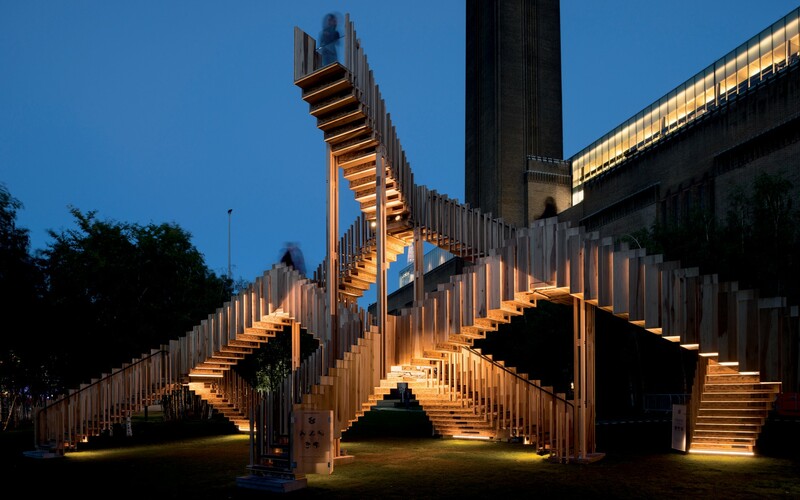 This year is no exception, with the Endless Stair public art installation holding court outside the Tate Modern museum. Inspired by the drawings of M.C. 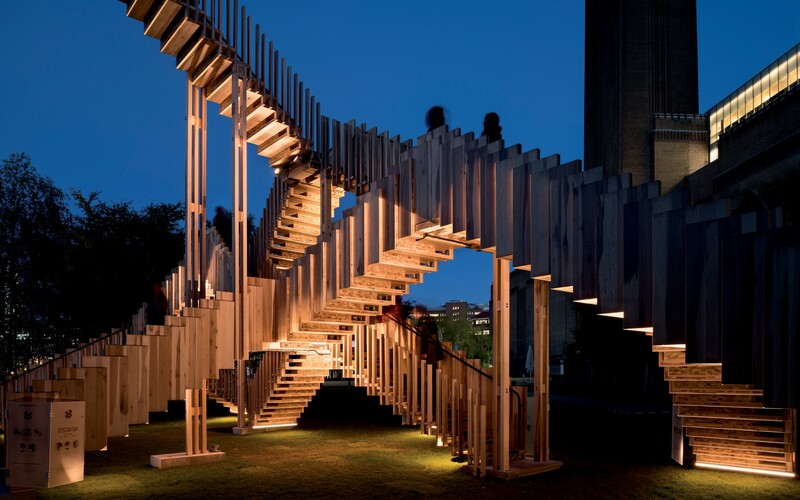 Escher, Endless Stair combines fifteen interlocking staircases - and 187 steps - to form a series of reconfigurable walkways leading to a dramatic viewing platform. 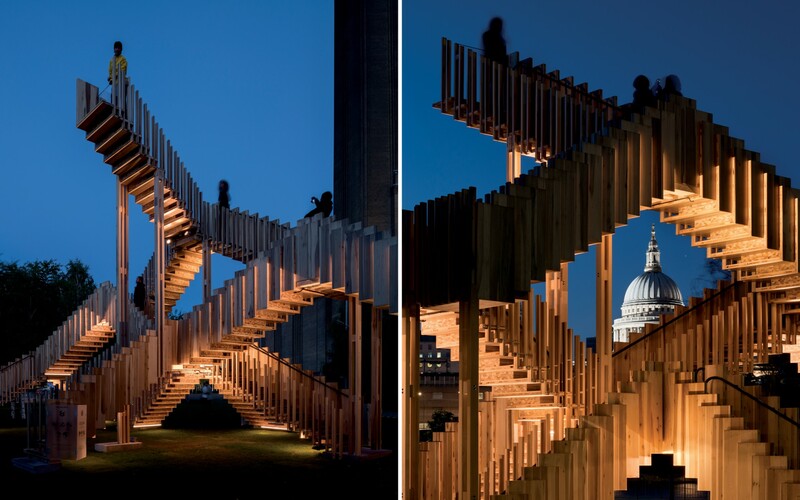 Commissioned by the London Design festival, in partnership with the American Hardwood Export Council, Endless Stair was designed by London-based dRMM Architects and engineered by Arup. 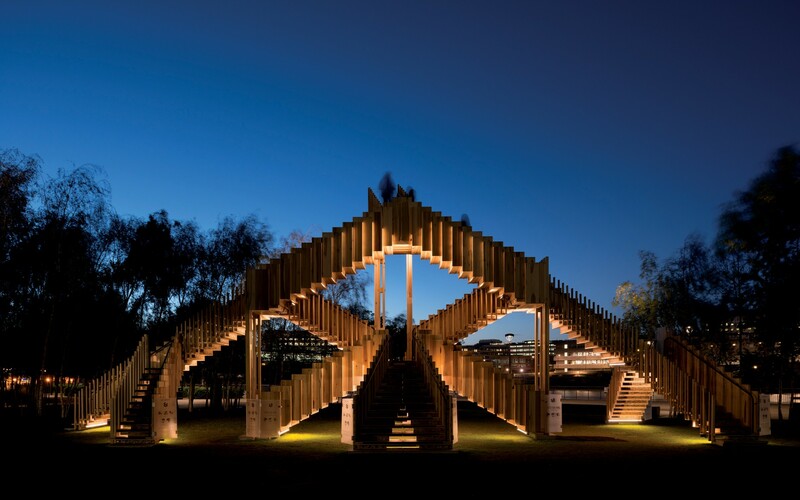 To give the structure an appropriately striking night-time appearance, the team turned to UK-based lighting design firm SEAM Design, which has worked on public art installations in the past. "Lighting art and architectural sculptures has many challenges, particularly those that require interactivity," said SEAM Director Marci Song. For Endless Stair, SEAM used Lumenpulse's Lumenbeam and Lumenfacade fixtures, which provided the right mix of durability and performance, while remaining small enough to conceal. 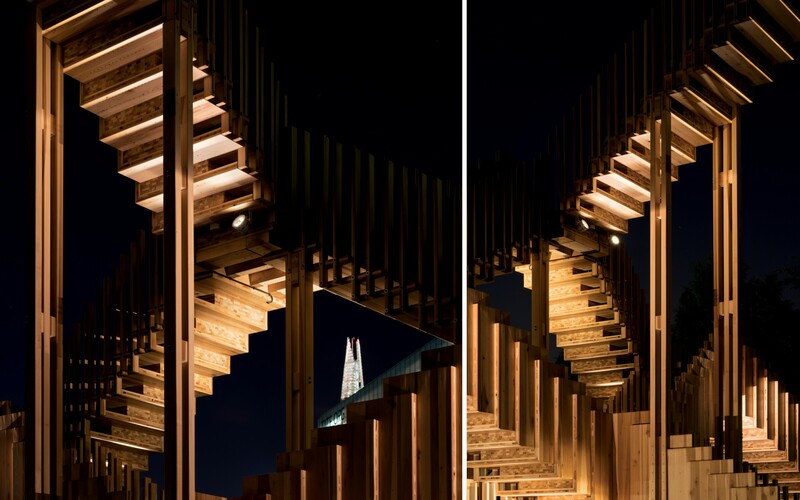 "LED technology with DMX control capability was always our first choice for the Endless Stair, and the durability and flexibility of the Lumenpulse luminaires proved to be the perfect solution for this reconfigurable, outdoor installation," said Song. The combination of linear grazers and narrow beam spotlights accentuates architectural juxtapositions, creating a play between the physical structure and the ephemeral nature of light. 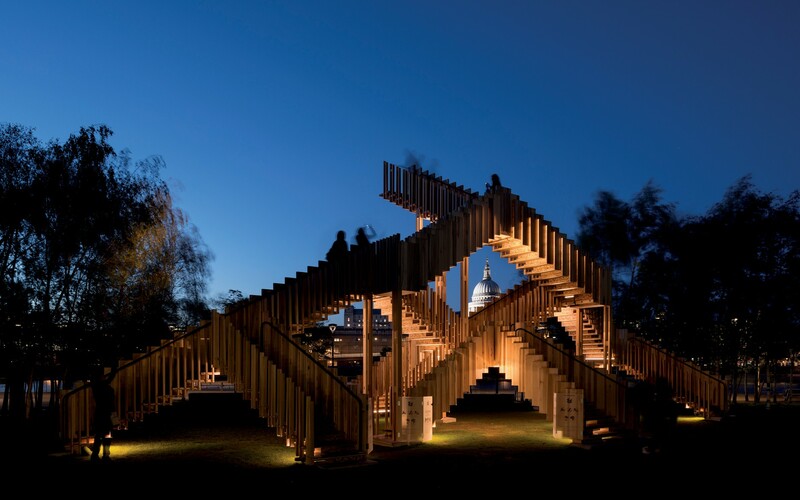 "Because the sculpture is accessible — meaning visitors can occupy and travel through the sculpture — the lighting design needs to address not only how the piece looks from distant and close up views, but also how the light creates compartments of atmospheres," Song said, explaining how the firm used a 2700K color temperature to enhance the warmth of the wood, and narrow 10° optics to limit glare. Full DMX capability, meanwhile, enabled individual control of segments of fixtures. The sequencing can then visually recompose and reconfigure the sculpture, matching its Escheresque design spirit. Presence detectors, which trigger light sequences, enhance this subtle movement of light, while also increasing the security of the sculpture at night. "The design allows us to experiment with the relationship and interactivity between people and the sculpture," Song said, adding that by supporting the original concept, the lighting design adds another dimension to the sculpture, giving it a playful night-time identity. "At night there seems to be a different kind of appreciation for the piece itself and for it as a viewing platform to see the city. It's great seeing visitors, even adults, run towards the sculpture," Song said. "They just want to have a play."